Please read the first article as a reference point. There, you will learn more about Lincoln and his family’s unique connection to Kyoto University, the JICA program, his internship opportunity, and his process of transitioning from one scholarship program (JICA) to another one (MEXT). In case you missed the second article about Lincoln’s initial challenges, the African community in Japan, and the major benefits of living in Japan, please read it here. 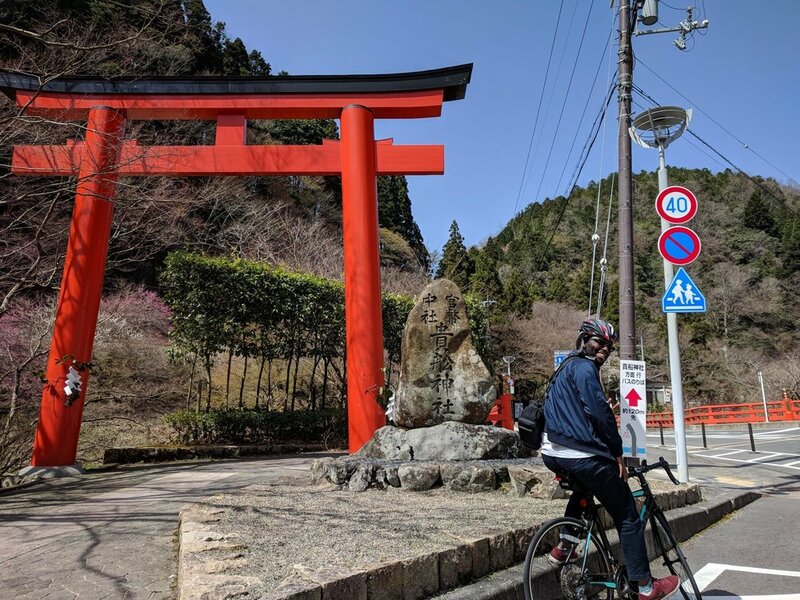 Finally, enjoy this final article featuring Lincoln’s newfound passion for cycling, his captivating life philosophy, his advice for those who want to study in Japan, and his favorite thing about living in Japan. Following on the benefits of living in Japan from the previous article, Lincoln has also developed a strong passion for exploring all the unique areas that Japan has to offer — via cycling. Not only has he, together with his best friend, cycled from Kyoto to Lake Biwa a few times, but he has also cycled the “heart loop” with an — in my opinion — insane amount of hills. Needless to say, Lincoln is quite impressive. Once he makes up his mind to accomplish a goal, he puts all of his energy into achieving it. With challenging athletic activities and other difficult life projects, one has to be able to focus and overcome any internal negativity. After all, the mind is often more powerful than the body. During Golden Week 2018, Lincoln is planning to cycle from Kyoto to Nara in one day with a few friends. This is no easy feat, as it’s around 90km or 56 miles of biking. But since he’s already biked 100km in one day or 62 miles, it should be relatively easy for him to accomplish. As a side note, he also informed me that he has a Kenyan friend, who left his apartment at 5 am, biked to Lake Biwa, then biked around Lake Biwa, and came home by 6 pm! That’s approximately 250km or 155 miles of bike riding in one day! Incredible, right? Along with exercising for long stretches at a time, Lincoln’s favorite thing about living in Japan is the scrumptious food. Some of his favorite foods are 唐揚げ kara-age, deep-fried foods, ラーメン ramen noodles, and 天ぷら tempura and deep-fried fish. He exercises so he can eat more of what he loves! Coming from a scientific, mathematical, and engineering background, it makes sense that Lincoln has a very logical perspective that frames his life philosophy. As he succinctly explained, every action has a reaction, and every choice has a consequence. In a similar vein, Lincoln explained that all relationships are a two-way street. Thus, what you release into the universe is also what you get back. After all, he shared how the control we have is over the choices we make every single instant. And in Buddhism, we often talk about how every thought, word, and action, is a cause that creates some sort of effect in the world. Recently, many spiritual folks have been talking about making an intention with purpose. That way, we can get closer to achieving whatever we set out to accomplish. Our intentions backed by a strong purpose, which we release into the universe, have a powerful effect. 1. Be Very Proactive! Don’t Hesitate! Over the course of 3.5 years, Lincoln has learned the importance of being very proactive and never hesitating due to fear, worry, or anxiety. In the beginning, because his language abilities weren’t up to par, he often hesitated and held himself back, which he later realized was a self-imposed limitation. Now, Lincoln is very proactive, taking action before anyone asks him to do so. Plus, he doesn’t hesitate when it comes to doing something that will stretch him and take him outside of his comfort zone. 2. Learn as Much Japanese as You Can! Since Lincoln doesn't speak as much Japanese as he would like, but can understand quite a lot now after 4 years of living in Kyoto, he highly recommends anyone who wants to study, live, or work here, to learn as much Japanese as possible. Life will become all that much easier in Japan, with some basic Japanese language abilities. 3. Make Sure You Are Passionate About Your Research Topic! Without an inherent interest and passion for your potential research topic, you won’t be able to motivate yourself to do the hard, grunt work that is required. As such, Lincoln highly recommends that you choose your topic wisely. Even in the working world, if you are not passionate about your company and what you do on a daily basis, you won’t be able to motivate yourself to do an excellent job. Not everything about your job or your research topic, will be easy or something that you really want to do. But by having an innate interest in your topic, you will enjoy the process 100x more than you would, if you choose a topic that bores you or makes you feel like you want to pull your hair out. In the short-term, Lincoln plans to publish a peer-reviewed article before he graduates with a PhD from Kyoto University in March 2020. And in October 2018, he plans to present his research achievements at various international conferences. Finally, in the long-term, Lincoln’s goal is to land a full-time job in Japan or Kenya, contributing to the global sustainability, utilizing the research he conducted in Kyoto University. Thank you very much for reading this article about Lincoln Waweru. I hope you liked reading this final article, featuring Lincoln’s newfound passion for cycling, his captivating life philosophy, his advice for those who want to study in Japan, and his favorite thing about living in Japan. Enjoy the first article about Lincoln and his family’s unique connection to Kyoto University, the JICA program, his internship opportunity, and his process of transitioning from one scholarship program (JICA) to another one (MEXT).